Home / غير مصنف / UK weather radar: Will it SNOW, RAIN or HAIL near you this weekend? 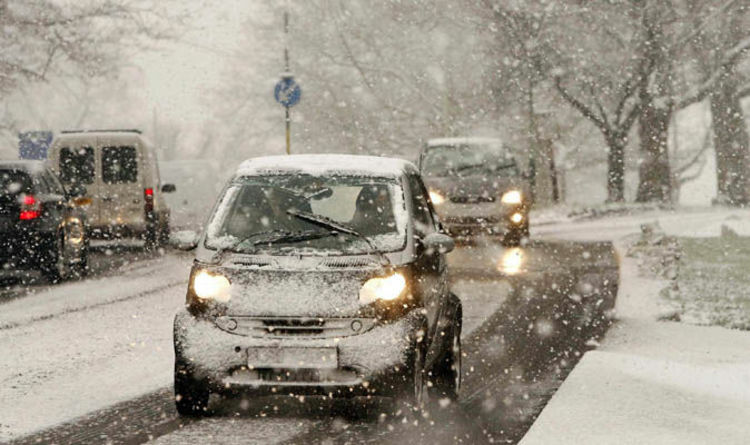 UK weather radar: Will it SNOW, RAIN or HAIL near you this weekend? The Met Office has teamed up with the government to urge Britons to get “weather-ready” ahead of winter. This means having the flu jab, checking on elderly or vulnerable neighbours, and having the basics stocked up at home in case of a power cut. So what will this weekend bring? As you can see by the snow radar below which shows fresh snowfall over the next three days, northern parts will feel the most of the chill. However, the Met Office has issued a yellow weather warning for rain in Southern parts, and are urging residents to take extra care. The warning is in place until 6pm on Saturday, November 24. Regions under warning are: Cornwall, Devon, Dorset, Plymouth, Somerset and Torbay. Bands of heavy, at times thundery, showers are expected to affect the areas until later on Saturday. While most areas will see a fair bit of rain, not everywhere will see the heaviest downpours. Where they do occur, 20-40 mm may fall in 6-12 hours, with perhaps around 50 mm falling in 24 hours. The heaviest rain is most likely across southeast-facing coasts and moors of Devon and Cornwall. Showers may also contain small hail at times. Into next week we can expect to see the damp weather continue. After a brief spell of bright weather in the north and east on Tuesday, things will turn very unsettled from midweek. There will be strong winds too with the risk of gales in the west. Thursday should bring a mix of sunshine and blustery showers. The changeable or unsettled weather looks set to continue through to next weekend with the best of any drier and brighter interludes towards the east and southeast. Things will stay generally windy with temperatures hovering around the average for this time of year. More unsettled and chilly weather is possible through the first week of December, as things start to turn drier and colder.